Cahdco is CCOC’s development corporation, established in 1996 to provide development consulting to non-profit organizations. Cahdco was created in 1996 by the Centretown Citizens Ottawa Corporation (CCOC) following the provincial government’s withdrawal from investing in affordable housing. Cahdco’s mission was to create affordable housing and provide development consulting services to non-profit organizations. Today, 20 years after it was established, limited government housing capital programs have returned and Cahdco continues to lead the way in developing affordable housing. 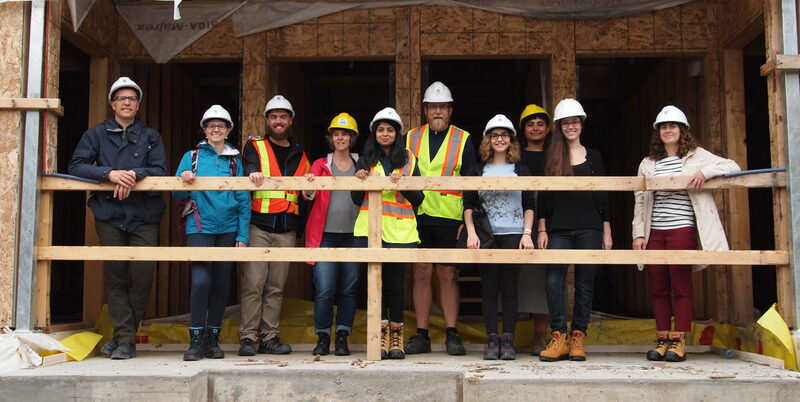 Through partnerships with all levels of government, other non-profits and private industry, Cahdco is furthering its mission to create new and innovative spaces of social benefit here in Ottawa. The name Cahdco initially stood for the Centretown Affordable Housing Development Corporation, now it stands on its own. CCOC is a community-based, tenant and member directed, non-profit housing organization whose mission is to create, maintain and promote housing for low and moderate income people. With over 50 properties in downtown Ottawa, CCOC has almost 1,600 units of affordable rental housing. CCOC strives to be a landlord of choice. This means having good quality buildings and apartments in walkable downtown neighbourhoods; providing diversity in housing options and tenancy mix; and giving responsive service. Quality of life for our tenants is improved by sharing progressive social values with their landlord; by having a voice in decision making; by feeling safe at home; and by accepting personal responsibility for being a good neighbour. Sustainability is a supporting pillar in the CCOC vision. Properties move toward a deeper shade of green with energy efficiency retrofits, EnergyStar certified appliances and eco-friendly and healthy practices like organic landscaping, EcoLogo certified cleaning products and proper disposal of hazardous waste. Tenants are involved through amenities like community gardens and rooftop landscaping, bike rooms and green bin programs. CCOC believes that the best way to be a community oriented landlord is to have everyone at the table. Working closely with community partners to meet tenant needs ensures accessibility and a high quality of life for tenants at all levels of ability, all types of households and all ages. MHI [Multifaith Housing Initiative] greatly enjoys working with Cahdco. . . Cahdco has been a great resource and supporter of MHI as we move forward in our organizations development. Their guidance and expertise were key in our successful proposal to the 2014 Action Ottawa Investment in Affordable Housing.